This is the refurbished version of the popular DNP DS 80 Photo Printer. These printers are refurbished and packaged in brand new boxes by Imaging Spectrum tech staff. 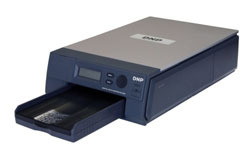 The refurbished DNP DS80 printer includes a 1 year warranty.